Yet, and this I find bizarre, I have had people say of my ‘people photography’ that it is really empathetic, that it creates a sense of connection between the viewer and the person being photographed. I have even been asked how on earth I approach complete strangers and photograph them, and most surprisingly was introduced at a lecture that I was asked to give, as a ‘people’ photographer (the lecture was on more solid familiar ground: landscape photography). These comments often make me feel like a complete fraud as many of the images in my portfolio were shot on work assignment. General travel photography and paid for assignments are very different in their nature and style of execution. Budding travel photographers hope for the captured images that they come across through their wanderings. Assignment photography usually entails sought after images, usually with the assistance of a ‘fixer’ or ‘guide’ at hand. On top of this there seems to be a different psychological frame of mind when I am ‘working’ as to when I am ‘traveling’. Reading some recent articles and watching videos on ethics in landscape photography and on photographing strangers with an instant camera got me thinking about the ethics of travel photography. In this I also think quite differently between street photography and travel photography, where the latter tends to be photography of an assumed ‘other’ (see my original article on photographing the ‘other’), while street photography, if done within the same culture as the photographer is of ‘us’. From a very simple perspective ethics should, I feel, revolve around the very simple tenet of ‘first do no harm’. The problem is the differing interpretations of ‘harm’. After all, it’s only a photograph. we were photographing in a village on one of the workshops that I was leading for Nature’s Light when one of the photographers stuck their camera through somebody’s window and started taking pictures. I completely lost my cool at this. What gives that photographer the right to intrude on somebody’s privacy and poke a camera, uninvited I should add, into that person’s home. Worse, the photographer didn’t think that they had done anything questionable to start with. Let’s flip the equation. What would you do if you are sitting in your home and some stranger puts a camera through the window and photographs you. How would you feel? Angry perhaps? There is a difference between being photographed in the street by a random stranger and actually having somebody enter your personal space to photograph you, without your permission. 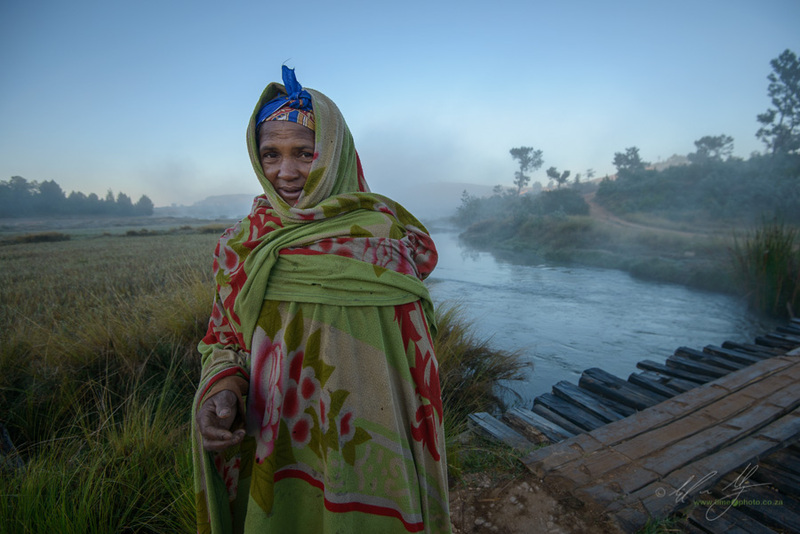 Travel photography of people by and large is of an outsider imposing their cameras into the personal space of the local. This is not without it’s ethical greyness. A simple mental equation can do a lot when it comes to photographing people. To whit: would I like this to be done to me? If the answer is no, don’t do it. If the answer is yes, proceed with humility and realize that what you might find acceptable might not be the same for the person you want to photograph, especially if there is any hint of a relationship of power in the interaction. The thing about travel photographers is that they are not the same as random strangers with a camera photographing people on the street. Travel photographers have power over those people they would like to photograph. Bear in mind that most travel photographers, amateur or professional, tend to be white, wealthy and male - the very epitome of privilege. As viewers and photographers, we have this strange fixation with poverty and the third world as a subject on which to train the lens. The western, largely white, world seems to be enthralled by the third world and its people. 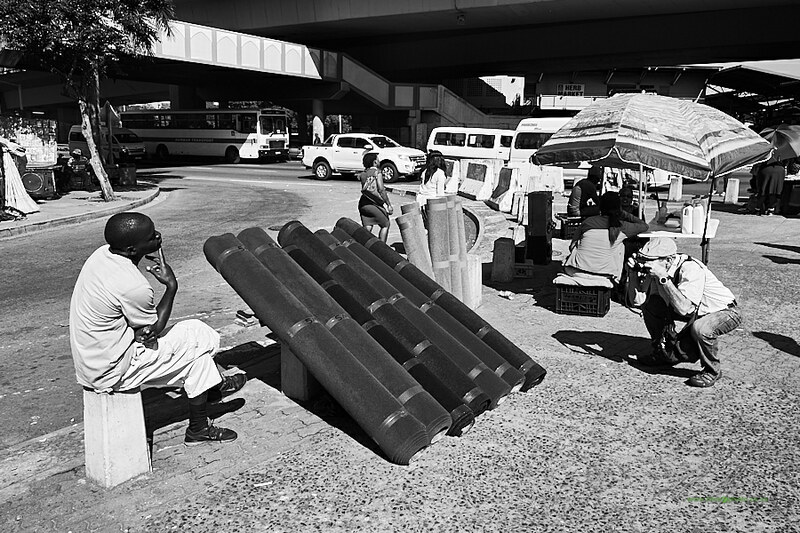 Even street photographers within their own countries tend to fixate on the poor and the down and out. Witness the powerful imagery by the likes of Paul Strand and Alfred Stiglitz. One might call it ‘white privilege’, except that it seems to be linked equally to socio-economic means as anything else. 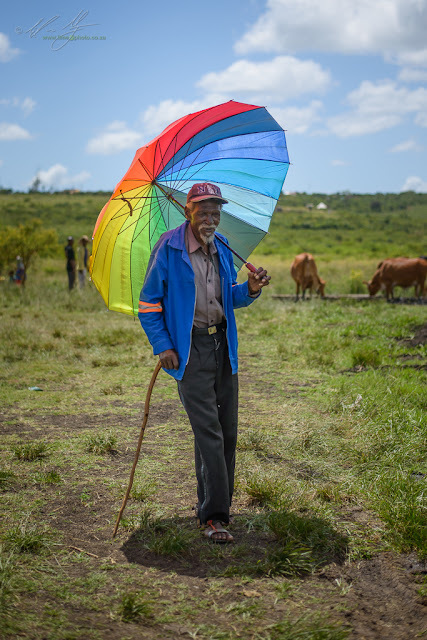 I have watched well-to-do African American, Japanese, Chinese, and even wealthy Black South African photographers virtually bludgeon their way into a situation where they are able to capture an image of a local person (usually non-white) in their (usually rural) surroundings. Why is it also that when we look at image salons of ‘people’, it is invariably of poor people, or people within a culture that is foreign to that of the west. Going back to the traveller-photographer, the person being photographed I suspect very seldom feels that they have any say in the matter. On one occasion a photographer I was working with was angry when I said ‘don’t photograph’, as the woman in question had raised her hands angrily in a motion of ‘No’. His response was that he had a right to take a photograph. Really?!?! 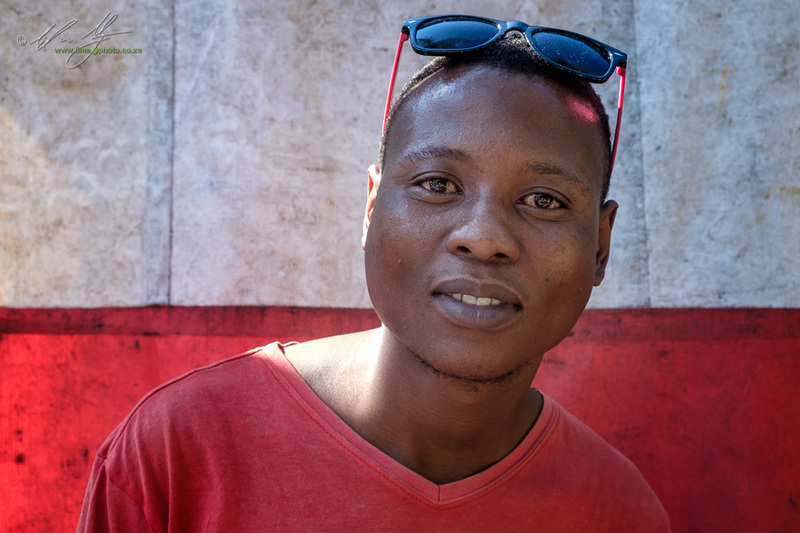 To be absolutely fair though, the photographer who I was with is a very good people photographer, producing absolutely stunning portraits of the people he meets in his travels. Usually he also has a way that people end up accepting him taking photographs. He literally has no fear approaching people to photograph them. However, his initial technique to capture the images is quite aggressive, and I suspect intimidating initially, leaving little opportunity for the subject to say no. In my experience a very large proportion of travel photographers use their unconscious elevated status to enable them to take photographs in the first place. They are assertive and aggressively so. Is this is the lasting memory we want to leave on the people we photograph? Photographers who have joined me on workshops will know of my discomfort in photographing people while on tour with a group. Take the situation of power mentioned above, and add a dose of helplessness into it. One photographer is bad enough, now add a six others to the mix. Worse, drive unbidden into the middle of a village and disembark with big lenses to point at anyone who moves. How is this empowering to the people being photographed. The thing we strive for in travel photography of people is really an insiders view. The problem is that this isn’t going to happen on the average touristic journey of a country. Not without some staging taking place at the very least. This is why the classic images of people in traditional dress all seem the same. Think of the Himba woman grinding corn in northern Namibia, the cormorant fishermen on the Yangtze River in China, or the Buddhist monk staring into the distance at one of several famous monasteries. These are all put on for the camera and the dollar dispensing tourist. 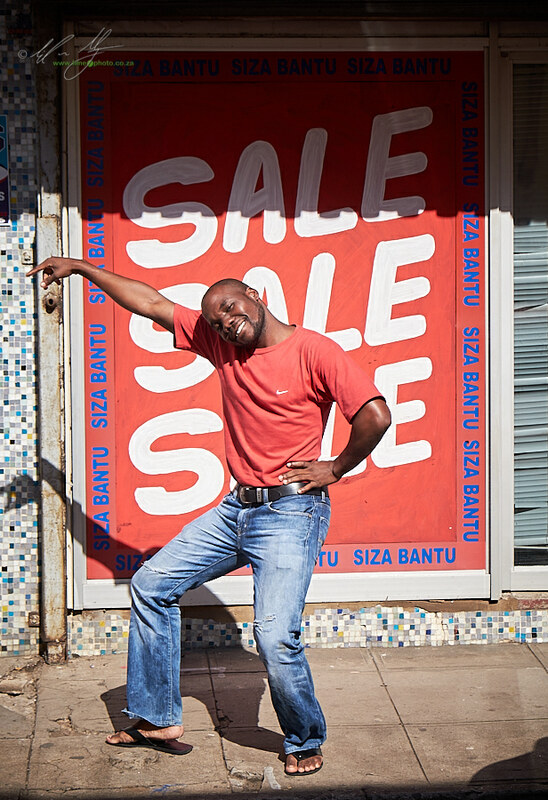 Here in South Africa we have several cultural centers where the tourist-photographer is able to photograph the ‘local-people’ in their ‘native’ quixoticness. It’s all a sham though, designed to monetize rather than satiate the need for the exotic other. The problem though is that it creates a sense of expectancy outside of the carefully managed confines of the tourist venue. Inside these spaces the tourist photographer is expected to take photographs. They are almost expected to behave voyeuristically. Unfortunately the tourist photographer takes that acceptance and applies it to everyone they come across. It doesn’t help that the internet is tearing at the seams with powerful imagery of people in ‘exotic’ locations. Imagery that every photographer from the iPhone wielding bus tourist to the paraphernalia laden and DSLR wielding enthusiast is desperate to recreate. Travel photography as a conventional tourist is hardly ever going to allow for the insider’s view. You are an outsider in every aspect, from the clothes you wear to the exorbitantly expensive piece of metal and glass that you brandish like a weapon into the faces of the people you want to photograph. We all wish to be the quiet fly on the wall, barely given a glance by the actors, as we photograph and document the unfolding drama in front of us. The reality is that unless you put in the time and effort to allow the subject to become familiar with you, these moments of clarity will not happen. In what seems like a previous existence now, I was privileged enough to spend significant time living in and near a group of villages in the Eastern Caprivi while doing research for my Master’s dissertation in Anthropology. Despite the fact that I lived in the community and knew many of the people there as friends, the camera was never invisible. It was accepted though. There is a world of difference between the awareness of a stranger pointing a lens into the group, and the lens belonging to an accepted outsider who has become part of the norm. Those amazing images of Chinese fishermen and Buddhist Monks look natural because the invasive lens of the tourist has become the norm for the actors. Without time and effort, don’t expect the same acceptance by a complete stranger. Some photographers have an incredible ability to disarm their subjects and simply be welcomed into their personal space. This is something that can be learned, but should always be done with humility and respect. 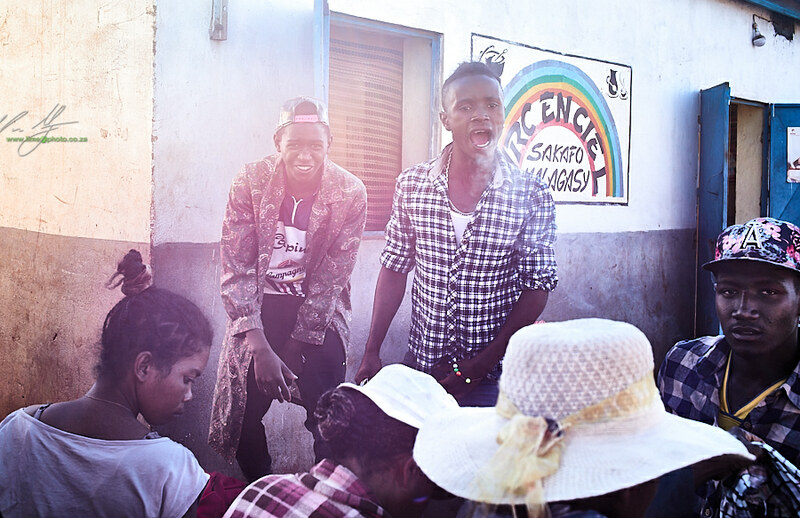 The solution out of the ethical dilemma of ‘do no harm’ coupled to the desire to create imagery that represents people realistically is to create agency in the people that you are photographing. What irks me the most with many photographers is the sense of self-entitlement as they approach someone to photograph them. That isn’t creating agency. That’s taking, pure and simple. It’s a form of visual exploitation. Creating agency is putting power in the hands of the subject. A simple example: rather than moving towards someone to take a photograph, allow them to move towards you. David Hurn mentions in his book, ‘On Being a Photographer’ that if you stay in an area long enough to photograph, the people you are photographing will become accustomed to your presence. You become the fly on the wall. Your subject moving towards you is similar in that you are not forcing your way into their space, rather, they are entering yours. But this takes time and patience, something that is not exactly in abundance for the average travel photographer. Better yet, create agency by getting to know the subject. Who is in front of your lens? Do they have a name? Again, this takes time and effort. I am not innocent in any of this incidentally. I have also photographed people without knowing their name. I have forced myself into situations to capture an image of somebody somewhere doing something interesting. I am guilty of assuming a right to photograph. I know that you don’t consciously think of the subject as inferior, or that you have some innate right to capture their image. Being a photographer and an artist you are driven by the potential image in front of you. Her beauty, the visualization of ancient wisdom in his wispy beard and striated wrinkles, the years of suffering borne in her aged and milky eyes, their exuberant youth as they playfully kick a paper ball between them. As thinking photographers we strive to picture humanity in much the same way as Edward Steichen’s ‘Family of Man’ project envisaged. Unfortunately we tend towards thinking of the image of, rather than the person we want to photograph. Invariably the question of money arises when we start to discuss photographing the people we encounter on our travels. Do we pay for the photographs that we create? If we pay, how much do we pay? Does this create expectations down the line of other photographers? In Kenya and Tanzania, local herdsmen can act aggressively towards tourists - demanding to be photographed and then demanding to be paid for the photographs (naively I was trapped into this while working in Kenya). 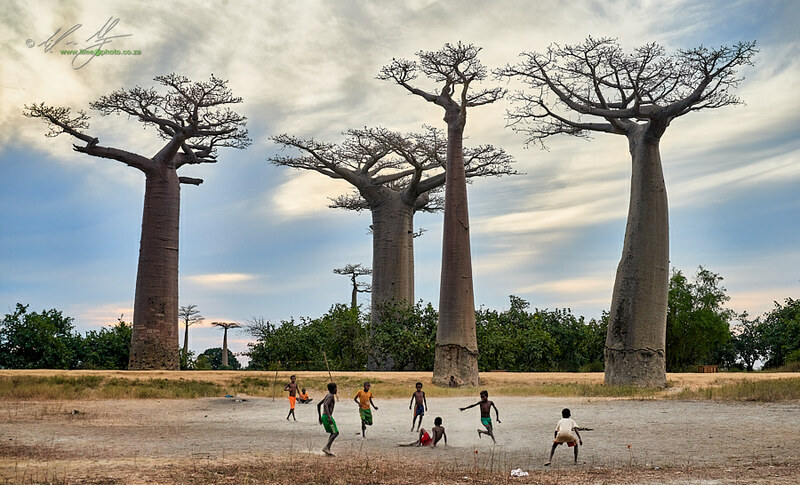 An example of spectacle for the tourist camera: these kids were playing what I thought was an intense game of soccer near the famous Baobab Alley in Madagascar. Ultimately it was a hustle for cash. As soon as I moved away they came tearing after me asking for payment for the image. There is a flip side however. I have watched in horror as a tourist photographer has aggressively entered a space to photograph the people there. I have squirmed in embarrassment as photographers pointed lenses at children in a rural setting. Yet, the families have emerged laughing and smiling, wanting to know more about the strange group of camera-toting tourists, while the aggressive photographer shared a cigarette and howled with laughter along with the old man he was photographing. 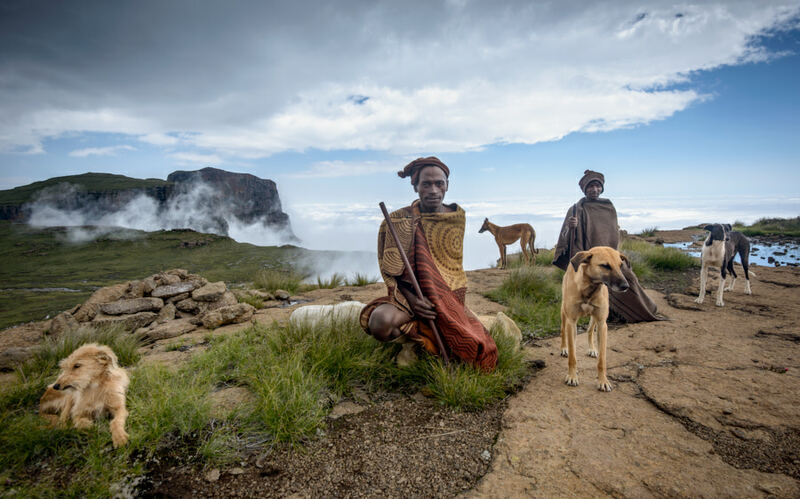 I have been nervous and fearful of rejection while tentatively asking to photograph a Basotho herdsman on the Drakensberg escarpment, only to discover later from my hiking partners that another gentlemen on hearing about me, walked all the way from his kraal to have his photograph taken. There was no money exchanged, he simply wanted to have his photograph taken (unfortunately I was not around when he arrived and he went on without waiting). While out shooting with Myllo Menorah this man hammed it up for the camera and disappeared before I even had a chance to catch his name. While working on my thesis I was also surprised one day when one of the traditional healers I was interviewing accosted me asking, where was my camera, why didn’t I bring my camera? The people we photograph often have more agency than we give them credit for. The trick is in recognizing this. Some people will take to the camera naturally. Others will shy away from it. The camera can become a social lubricant in this way. It can literally create a space where cultures can interact and meaningfully engage with one another. It is a fine line however between bullying a subject into submission and engaging as equals. Personally, I want the latter.